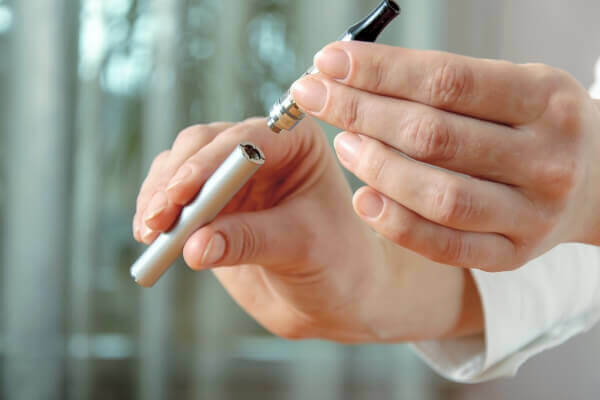 More and more smokers are looking to quit smoking using a vape device or electronic cigarette. The evidence supporting the use of of vape devices as an accepted and successful method to quit is now unequivocal and supported by the NHS. Below we give you the top 10 vapes available in the UK. For those looking for e Shisha see our best Shisha Pen review. Whatever your reasons, taking that first step and understanding the world of vaping can be a daunting task. 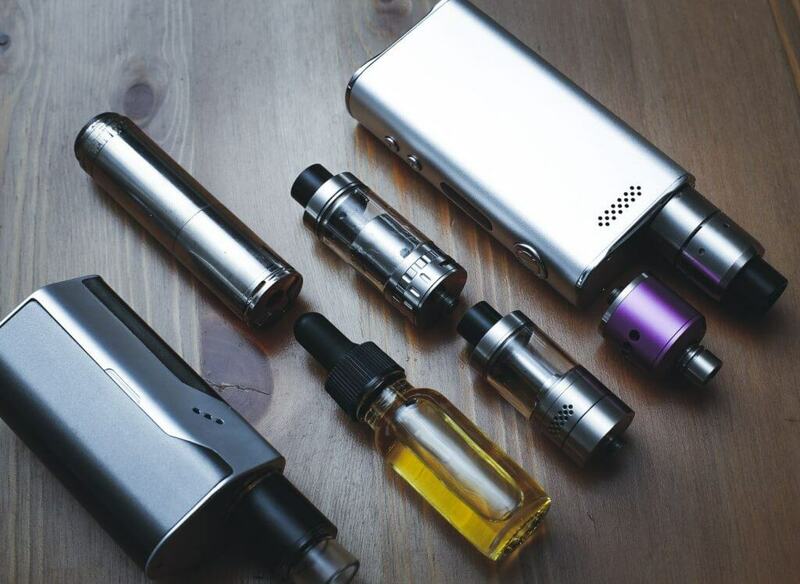 That’s why we’ve scoured the web for the best e cig review sites and their top 10 e cig choices to find the best vape starter kits for those wanting to take the plunge and buy their first e-cig but have no idea where to begin. The full reviews of the best of the best e cigarettes can be found here. All of the vape review sites analysed have V2 in their top 10 e-cig charts and the vast majority have V2 in their best 3 e cigs. This starter kit is the most modern and includes a V2 EX batteries, 6 V2 EX flavour cartridges (equivalent to around 5 packs of cigarettes), 1 wall adaptor, a smart charger and a user manual. The total kit comes in at around £40.00 and offers a new designer range of e-cigs, with 5 colours and 2 custom designs to choose from. The kit is extremely versatile in that you can use the pre-filled cartridges and their “Ex-Blank” e-liquid cartridges. The whole system is interchangeable. You can even use the Ex-Series accessories with the V2 Classic Range. The e-cigarette promises no nasty burnt after-taste and new technology that provides a very clean vape. Our starter vape kit of choice, V2 is in a league of its own. Read the full review to find out why! >>! The Jac Vapour kit is excellent quality and did come with a portable charging unit to charge your e-cigarette on the go. They have discontinued the PCC option which is a shame as it was useful to have a method to charge your e cigs on the go. They have simply removed it from the kit so the kit now only has 1 battery, 5 refills and a USB charger, they also include some colour coded “bungs” if you need to differentiate between flavour e liquids. The basic kit is £19.99 for a single battery kit, you will need a second battery at £9.99 so the cost jumps to £29.98. The blu PLUS+ charge kit (see our new full blu e cig review) makes sure your e-cigarette is charged at all times, by including a pack to recharge your batteries for up to 6 times, a carry case, a USB battery charger and also includes 1.8% nicotine strength cartridges. This kit will set you back £29.99. The Halo G6 starter kit offers a powerful battery to give you maximum performance. The kit also offers 5 flavour cartridges according to your personal preference and it all comes in a stylish Halo carry case. Halo G6 is one of the top 10 picks from the USA e cigarette review sites. Read the full Halo e cigs review. The Epuffer Magnum is a sleek black kit, which includes everything you need to start vaping as soon as it’s out of the box. The kit includes 2 batteries, some flavour cartridges and both a USB and adapter charger. The Magma kit is a traditional ‘cig-a-like’ e-cigarette that comes in a classic cigarette carton style case. The kit includes 2 batteries, chargers and gives you a choice of a huge range of flavours and nicotine strengths. UPDATE – Green Smoke have stopped trading in the UK – no further information is available at this time. The Green Smoke e-cigarettes give you that classic cigarette look. They provide an excellent throat hit with their 2.4 mg carts, however there are no options to refill, so these can be pretty costly to get through. There are 3 main starter kits to choose from, starting at £29.97 for express starter kit, which includes 5 cartridges, 2 rechargeable batteries, a USB charger, a wall adopter and a bonus carrying case. The South Beach Smoke e-cig is another ‘classic’ cigarette model. Aimed more towards the occasional and recreational user, it has excellent vapour production and their battery life is impressive. The deluxe starter kit usually comes in at around £59.99 and includes a standard battery, high-capacity battery, wall charger, USB charger and 10 cartridges. South Beach Smoke tend to have a fair few discounts, so it’s worth keeping an eye out. The E-lites Logic Vapes kit comes in at £14.99 and includes a rechargeable battery, 2 e-liquid refills and a USB charger so you can charge on the go. You have the option to choose either a regular flavoured e-liquid, such as tobacco, menthol or a light tobacco.This vape stick also has a handy partial charge feature, so you grab and go in a hurry. More suited to very light smokers though. The starter kits above are all aimed at beginner vapers, the top 2 in the list will satisfy everyone even the heaviest of smokers not wanting anything but simple vape device. All of them also have pro or advanced vapour kits available in the event you want to try e cigs with more options but for the majority these kits will do the job long term. Starter kits come in all shapes, sizes and prices, so you’ll always be able to find an e-cigarette kit that suits your budget and needs.